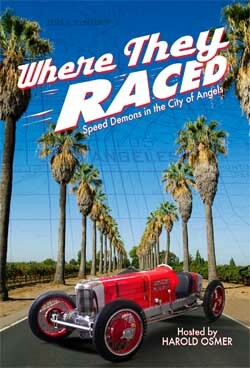 Unfortunately, the producer/director of the DVD has co-opted the stories, research, and even title of Where They Raced. He is both fraud and thief. He continues to pursue the active vintage racing scene in search of additional video. While presenting himself as historian or researcher, know that it is a stolen reputation based upon the work of others. While his videography is top-notch, his personal manner and professional trustworthiness are gutter level. Be aware. You can tell him Harold Osmer said as much.